A few extended MLB four-game weekend matchups are slated to get underway tonight, and Sportsbook.ag has released its moneyline series odds for the favorite and the underdog through the first three games of each one. Betting on the series price odds can sometimes offer some great value once you start digging into the stats and betting trends for the overall three-game matchup. The following are my top bets to cash in on these series price betting odds for three very intriguing head-to-head division showdowns. The Cardinals continue to set the pace in the NL Central with a MLB-best record of 55-30 through Wednesday's games. They were able to salvage a 2-2 split this week against the Chicago Cubs with a 6-5 victory as +105 underdogs on the road in the series finale, and going back over their last 10 road games they are 7-3. St. Louis should have the slight edge in this series opener as a -108 road favorite with Carlos Martin on the mound. 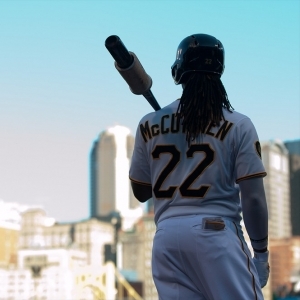 The Pirates extended their current winning streak to five games with Wednesday's 5-2 victory against San Diego as -128 home favorites. They are now 10-2 in their last 12 games, including a 7-2 mark at PNC Park. Pittsburgh's pitching has been simply stellar over the past 12 games, and the team has allowed an average of just 2.7 runs a game during this stretch. While St. Louis is 4-2 in the season series, three of those wins came at home. I am going to stick with the home team in this series as well with a play on the red-hot Pirates. The Tigers took two out of three from Seattle this week while piling up a total of 23 runs. This lineup has been scoring runs at a high level over it last 12 outings with an average of six runs a game. Unfortunately, Detroit has also allowed an average of six runs a game to go 6-6 during this stretch. It comes into Thursday's Game 1 as a -140 road favorite with David Price as its starter, so it should have an excellent chance at gaining the early edge. Minnesota was able to turn things around this week with a three-game sweep of Baltimore after going just 4-6 in a recent 10-game road trip. The Twins are 46-39 on the year mainly because of their ability to win at home. Despite a sterling 28-15 record at Target Field this season, they have already dropped two of three to Detroit at home as part of a 2-7 record against the Tigers this season. Given the edge in Game 1 on Friday, I am going to keep riding this trend with a play on Detroit as a road underdog in this series. Los Angeles is the hottest team in baseball heading into Thursday's series opener with a five-game winning streak and a blazing 9-1 record in its last 10 games. This run has closed the gap with Houston in the AL West Division race to just 1.5 games. The Angels' lineup has been tearing it up lately, and in their last five road games against Texas this past weekend and two interleague games against Colorado this week it pounded out a combined total of 46 runs. The pitching staff has done its part as well by holding the Rangers and the Rockies to a combined 12 runs. Seattle does have a distinct advantage in Thursday's Game 1 as a -133 home favorite with Felix Hernandez on the mound, and it will have Mike Montgomery starting on Friday night. However, overall the Mariners have struggled against Los Angeles this year with a 3-6 record in the first nine meetings, including a 2-1 series loss at home to open the 2015 season. The key game this time around could be Saturday's starting matchup between the Angels' CJ Wilson and Hisashi Iwakuma for Seattle. Wilson has now registered four quality starts in his last five outings, while Iwakuma has been shelled in all four of his previous outings with an ERA of 7.17. I am sticking with the hot hand in this one with a play on Los Angeles.